Young Vasilis Kontos graduates from the Department of Economics of the University of Athens having experienced for the first time the principles of microeconomics, macroeconomics, economic analysis and international monetary relations. He gets hired in EVEPI Ltd (ΕΒΕΠΥ ΑΕ), the second biggest soft plastics manufacturing industry in Europe. Enterprising and daring in his choices, and also with the help of his academic knowledge and of the long hours of study, he gets promoted to exports director after six months. He faces a terrifying new responsibility and a big challenge. EVEPI is a Company employing 700 people and exporting its products to most countries of the world. Just to name a few: Europe, Canada, the USA, Australia, Egypt, Nigeria, Libya, Lebanon, Iraq, Iran, Ivory Coast, Surinam and other places. Each export has a minimum value of 10,000 USD and is being done absolutely through Letters of Credit, a method requiring excellent adequacy and deep knowledge of incoterms and International trade regulations. For Vasilis Kontos EVEPI proved to be a second University. 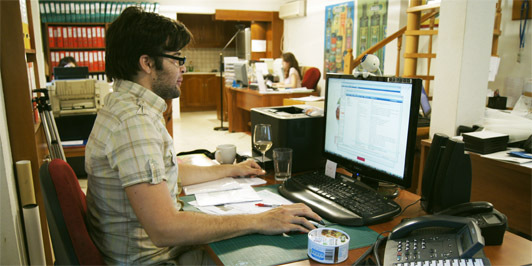 High enterprising Vasilis Kontos while working in EVEPI starts a parallel export operation as a freelancer. That way he helps more than 25 Greek companies export their products all over the world. He exports everything: fashion products, lighting decorations, Byzantine icons, shoes, metal moulds, toys (in co-operation with Playmobil LYRA), purified water, embroideries, car accessories. 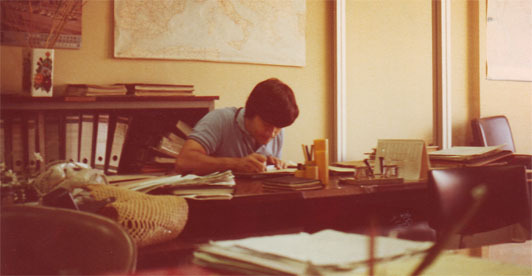 He obtains full expertise in every kind of entrepreneurial services: exports’ legislation, public services, business credits, insurance issues and freighting and International Trade regulations’ issues, developing co-operations with many champers, embassies, ministries, monetary services, customs etc. 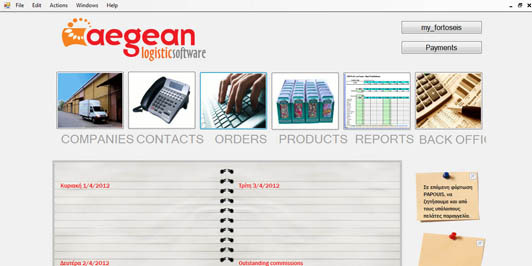 He obtains the trading agent certificate and registers the name ‘Aegean Intertrade Co’ for future use. He founds Good Luck Ltd along with his business partner, Egyptian Hisam Shalaby, being himself the general manager, exporting lighting decorations and gifts to countries of Middle East and Africa. In the spring of 1985 an importer from Vancouver, West Canada expresses his interest in importing a big variety of Greek food products and so the “big journey” of Greek food products exports begins. Vassilis Kontos puts the name Aegean Intertrade Co to use and starts cooperating with the first companies: Haitoglou & Co (Αφοί Χαΐτογλου), Caffetex (Καφετέξ) (Brazita coffee), Astron Messinias (Άστρον Μεσσηνίας), EVEK Ltd (ΕΒΕΚ ΑΕ) [MINOA (ΜΙΝΩΑ) olive oil, Katsakoulis (Κατσακούλης) (Irina, Nissa olive oil), Nakos Kostas (Νάκος Κώστας) (olives), Pelekan, Avez (Aβέζ), Tsougos (Τσούγκος) (halva from Volos), EGS Kolimvariou (ΕΓΣ Κολυμβαρίου) (olive oil from Creta) and other companies. 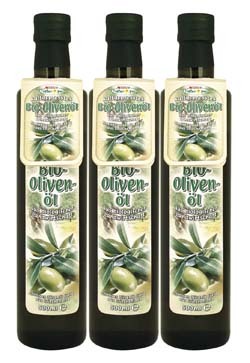 One of the customers of Aegean Intertrade Co in the United Kingdom at the time, G & E Imports, has a demand for organic olive oil. 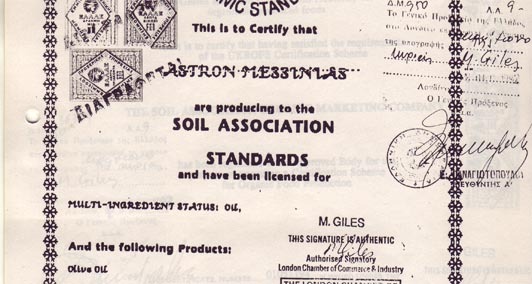 Aegean Intertrade Co welcomes the British auditor of ‘The Soil Association Organic Marketing Co Ltd’ standardization company in Greece. In cooperation with Astron Messinias Ltd [today: Lelia (Λέλια)], olive groves are chosen, which are completely clear of any pesticide or fertilizer. The responsible auditor, after scrutinising controls, certifies the olive oil as ‘BIO under conversion’. The following year the British organic products’ standardization company, after a new visit and control at the olive groves, grants the final ‘organic’ certification. Vasilis Kontos and Aegean Intertrade Co, after a very demanding process concerning employment time, knowhow, correspondence, processes etc., make and export the first certified organic product of Greece. During the ‘90s, Aegean Intertrade Co moves towards the expansion of its clientele, as well as of the Industries represented abroad. For more than 15 years the promotional business trips and participations in International Exhibitions with own stands supported many of the today’s famous Greek companies at their start helping them establish their presence in the demanding foreign markets. 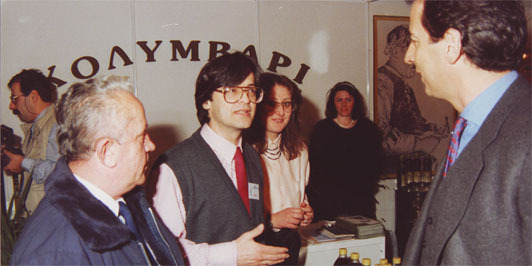 1993 - Food and Drink Exhibition in Athens. 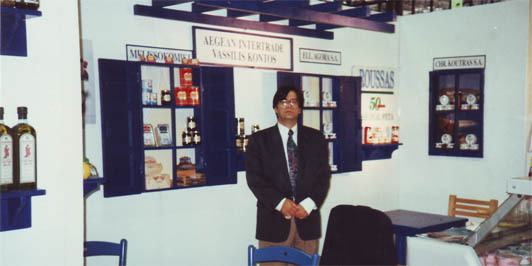 1994 – SIAL Exhibition in Paris. 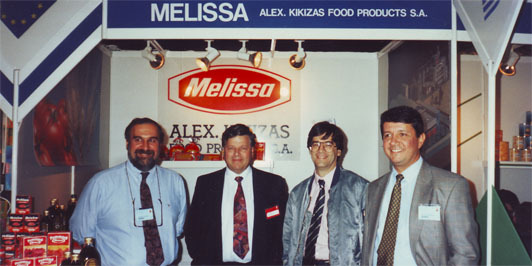 1995 – Anuga Exhibition in Cologne. 1997 - Fancy Food Show Exhibition in New York. 1999 - Anuga Exhibition in Cologne. Some –famous today- Industries, the products of which were firstly presented abroad at the stands of Aegean Intertrade Co at the above-mentioned exhibitions, are: Coca Cola Hbc SA (AMITA juices), Nestle [LOUMIDES coffee (ΛΟΥΜΙΔΗΣ), KORPI water (ΚΟΡΠΗ)], Agrino (rice, legumes), Panoutsopouloi & Co (αφοί Πανουτσόπουλοι) (Stella pasta), Kikizas Ltd (Κίκιζας ΑΕ) (Melissa pasta), Amalthia (Αμάλθεια) (olives, olive oil), PAROS vinegar (ΠΑΡΟΣ), EGS Kolimvariou, PERLA (ΠΕΡΛΑ) (sea salt), SINPE “Melissokomiki” (ΣΥΝΠΕ «Μελισσοκομική»), Omega Private Limited Company (Ωμέγα ΕΠΕ) (lemon juice), Kalloni Ltd (Καλλονή ΑΕ) (fish), Spiridis Ltd (Σπυρίδης ΑΕ) (OSCAR dried fruit), X.Koutras Ltd (Χ. Κούτρας ΑΕ) (Chef Grec salads), Jotis Ltd (Γιώτης ΑΕ) (Captain’s spices), Ververi & Co Ltd (Αφοί Βερβέρη ΑΕ) [“VIGLA” feta cheese («ΒΙΓΛΑ»), the today’s factory of DELTA (ΔΕΛΤΑ)], SOUROTI (Σουρωτή) (sparkling water), Sarantis Ltd (Σαραντής ΑΕ) (spoon sweets), Bingo Ltd etc. Ioanna Pseftoga after graduating with honours from the “Management & Economics” School, of the TEI of Athens, gets hired in Aegean Intertrade Co and undertakes the shipments management. Kostis Kontos, Vasilis’s first son, starts working in the company. 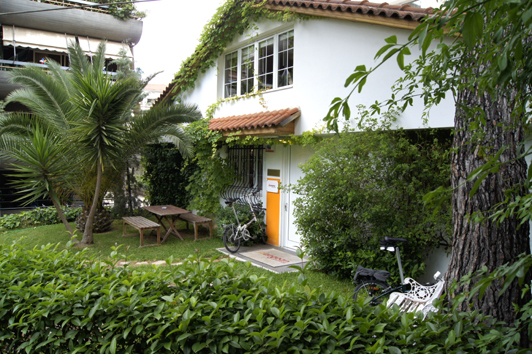 Kostis is a graduate of the “Business Administration” Department of the University of Piraeus. At the same time he enters the Athens School of Fine Arts after being successfully examined. He uses his talent and ideas to the profit of Aegean Intertrade Co’s clients and in combination with his trade knowledge, he undertakes the designing of products, brands and labels for the International markets. 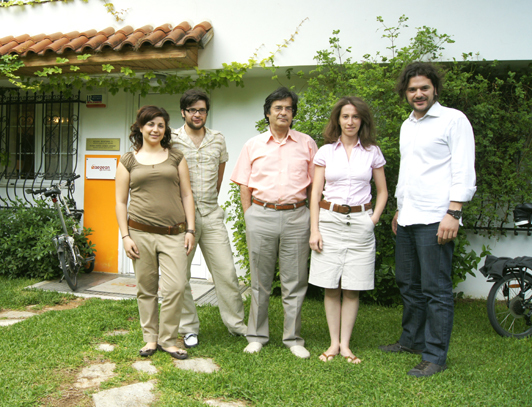 In 2008, the sons of Vasilis, Kostis and Gregory Kontos, undertake two important projects that consist a milestone at the history of Aegean Intertrade Co. The first one is the production of customized Enterprise Resource Planning (ERP) software for the purpose of controlling the moves of the whole Company through a central programme. A business now counting more than 80 suppliers, a portfolio of more than 4,500 product codes and more than 200 clients-buyers in 14 countries make the above-mentioned action necessary. At the same time a databank website is created, which innovatively presents all the information, setting the base and offering perspectives for working the way in new Markets. For these modernization works same capitals are used, along with European Union funds. Aegean Intertrade Co through an important customer makes a deal for the sale of organic extra virgin olive oil to ‘Spar’ supermarket chain in Austria. 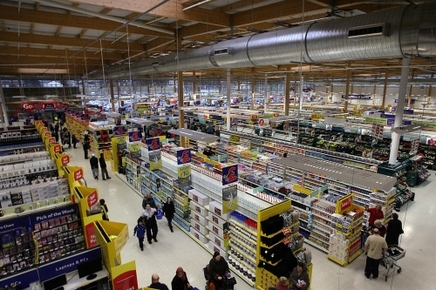 In three years and with just one code, total sales of 2 million Euro are performed. At the same time Popi Panteri joins Aegean Intertrade Co; Popi is a “Business Administration” graduate of Athens University of Economics and Business. She undertakes the administration of the Company (orders management, shipments control and consolidation etc.) That way Ioanna has now come to manage the sales to subordinate clients, while at the same time she is responsible for payments and qualitative problems’ management issues. Gregory Kontos, Vasilis’s Kontos second son, joins the Company –permanently- after long educative and academic trips in countries of Asia and America. 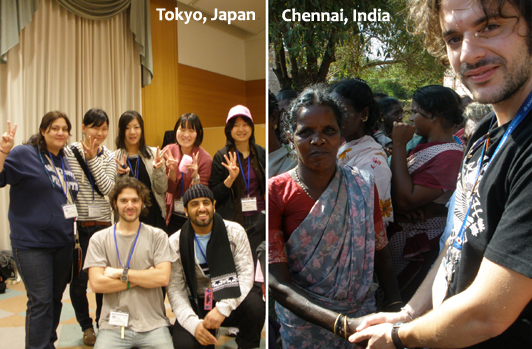 Gregory is a “Business Administration” graduate of the Athens University of Economics and Business, as well as of the SWY Program of the United Nations University –Cabinet Office of Japan (Tokyo 2010). He undertakes Marketing and Sales Development responsibilities by approaching new markets. 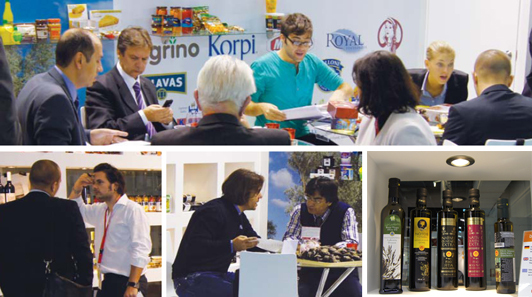 Aegean Intertrade Co takes part in Anuga, the biggest trade exhibition of food and drinks in the World. Aegean Intertrade Co’s stand becomes the centre of discussions, analysis, presentations and deals with old and new clients–buyers in existing as well as new, developing markets. At the same time a co-operation starts with a pickle-products-importing top German company, undertaking the packaging of Macedonian peppers filled with cheese under their own label. ‘Aegean Wine Selections’ is founded; the department of Aegean Intertrade Co specialising in the exporting of Greek wines and spirits. Gregory Kontos is in charge of this new department, having specialised in this field (Sommelier degree at Le Monde School and WSET HESTIA Advanced Certificate in Wines and Spirits), developing tasting skills while constantly tasting wines and spirits from all over the world. With total annual sales of more than € 10,000,000, manpower combining new ideas, innovation and experience and its proprietary, environmentally friendly facilities, Aegean Intertrade Co on its 27th birthday proves to be one of the most reliable exporting vehicles of Greece.